Our charter is to create Awareness about Domestic Violence and Abuse (DVA), to advance Victim Rights, establish much needed Education, and Emancipate victims by providing access to necessary Resources - so they fully realize their Every Great Reason to begin a New Life. Ellen was literally hours away from Beginning A New Life. 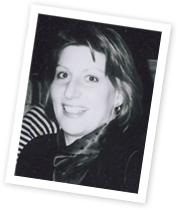 ​Her Life and Spirit are carried forward in our Mission to create New Lives for Others. The Every Great Reason Foundation provides an avenue for victims who are seemingly shackled by DVA to courageously move forward and Begin a New Life.